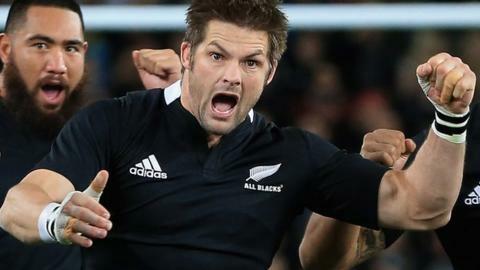 All Blacks captain Richie McCaw will take a six-month break from rugby after New Zealand's autumn tour to Europe. The 31-year-old flanker will invoke a clause in his contract with the New Zealand Rugby Union that allows him to take a "sabbatical". He will miss a three-Test series against France next June and the majority of the 2013 Super 15 season. "It is definitely going to happen," said Todd Blackadder, coach of McCaw's Super 15 team the Canterbury Crusaders. "Richie is going to take a sabbatical. He won't be available for the Tests or Super rugby so he's going to get a good break. "He's going to see the season out with the All Blacks, then have a break. It will freshen him up and he'll come back and be good for the next couple of years." The move is designed to prolong the stellar career of McCaw, who led the All Blacks to World Cup victory in 2011, until the next global tournament in England in 2015. All Blacks coach Steve Hansen said he is unsure if McCaw - capped a record 110 times - would even take a sabbatical, but endorsed the move in order to preserve the flanker's chances of continuing through to 2015. "If we want to get him through to the next World Cup, then it would be a good idea if he uses it at some point," Hansen said. "At the end of the day, Richie is a smart enough man to know what his body needs." New Zealand, who currently lead the southern hemisphere's Rugby Championship after winning their first four games, play Tests against Scotland (11 November), Italy (17 Nov), Wales (24 Nov) and England (1 December) on their European tour. Meanwhile fly-half Dan Carter is set to return for the All Blacks in next Saturday's Rugby Championship clash against Argentina. Carter has missed New Zealand's last two matches against Argentina and South Africa with a calf strain but has been named in a 28-man squad for the All Blacks' tests in Argentina and South Africa. "Dan is recovering well from his calf injury and we are expecting him to be fit for selection for the Argentine Test," said Hansen.